E Commerce sites require an content marketing strategy to grow an online business. Feature rich content, whilst being informative, authoritative and dynamic is only an effective marketing tool if it attracts, retains and converts online visitors. As an efficient online growth stimulator it must build brand, generate leads and drive conversions – important elements often underestimated or ignored by E Commerce website owners and developers. The generic benefits of an effective content strategy will be automatically flagged up by the success of online sales and services. By using content marketing to impart useful information about your products you can then share that product related knowledge on your blog posts, social media profiles and even product pages to attract and convert customers looking for those particular items. Once you have captivated your consumer you can convert by offering how-to videos, brochures and product comparisons to further engage and convert. Product videos on product pages can help consumers make that final decision to purchase. You can also manipulate social media by providing graphics and artwork to promote new products or again create short promotional videos to engage, inform and convert potential customers. This intensified experience helps build consumer/brand relationships which are fundamental to online sales. Creating a stimulating online shopping environment will trigger a chain reaction in consumer’s behaviour that will attract, sustain interest and drive conversions. A Use customer reviews and photos as a social proof that your customers approve of your products You could inspire them to deploy a particular hash tag to tag their photos promoting your products. B We refer back to the use of product videos extolling product value and worthiness. This can highlight the benefits of the product and create an emotional bond with it, which will hopefully lead to a purchase on your site. C Create attractive graphics, displaying your products in working mode and use social media to disseminate the visual message which is proven to be a more effective medium than the written word, among consumers. Hope you find food for thought in our ideas for content marketing and feel empowered and motivated to create your own creative strategy. 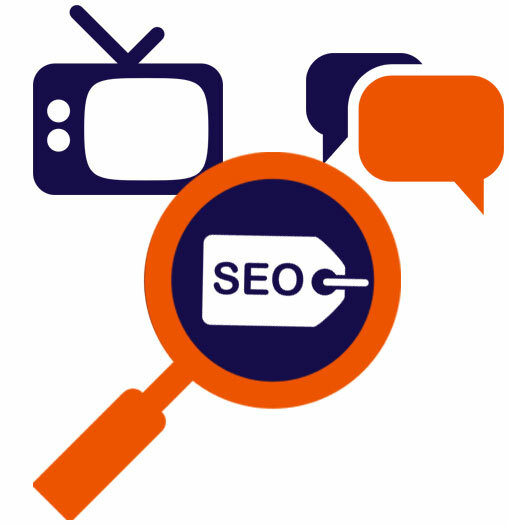 For further SEO advice or to chat with out Magento Belfast experts contact us today. To gain maximum advantage from your marketing spend your site must be clearly visible to the public, which essentially means that it should be ranking in the top pages of the Search Engine Ranking Pages and preferably Page one. It is not just good enough to reach that coveted position but is necessary to sustain it as a proof of your sites integrity and authority. We are reminded continuously by SEO experts of the ever present need for SEO friendly content that Google bots can crawl and reward for its authenticity by sending it to the Search Engines for superior rankings. Google’s goal, since the roll out of Penguin and successive algorithm updates is to provide all internet users with a fast and effective search service. Websites should be compliant with the clear algorithmic guidelines in terms of creating better content. Google is making every effort to get websites to provide the best experience with the sunflowermaids.com kansas city possible for all users, offering fast search queries so that potential users/customers can find what they are looking for in as few clicks as possible and be converted quickly with no other distractions. Content is a crucial element in providing that ultimate online experience which feeds directly into the E Commerce site owner’s goal of user conversion and increased ROI. Creating great SEO friendly content will enhance your site’s capability of climbing the rankings in SERPS and here are some technical pointers to crafting that all important rich optimised content. Consciously write content that is engaging,informative and authoritative; that will permit optimal optimisation and will allow the SEARCH bots to scan and enable high rankings in the SERPS. Write ethical content with skilled digital manipulation to gain maximum visibility online and increased conversions. Promoting your brand through savvy and informative content is only part of the digital marketing equation. You need to get your readers to empathise with you as a real person so do not be afraid to engage by using amusing experiences or stories as long a you stay within the bounds of professional appropriateness. Captchas – spam blockers or conversion killers? Web users are exercised by pop-ups which can be distracting as much as they are annoying. Equally, captchas can be one of the most bothersome things on the web. Even if they drive irritated visitors from your website, which in essence might not offend you, how do you feel about losing conversions? The overarching concern regarding the negative effects of captchas on your website is loss of earnings and no return on investment. The whole concept and establishment of captchas resulted from the explosive growth in the web at the end of the 1900s and the corresponding increase in spam. The latter phenomenon was counteracted with a spam prevention or blocking system named captchas whose raison d’etre was to stop spam robots from carrying out their task of recognising spam and penalising accordingly. Even though captchas were designed to block spamming they proved in reality not to be totally spam proof as they were quickly outwitted by spam robots and their architects. However in spite of their shortcomings they did manage to filter some of the spam, which is the reason why they remain a popular feature on Websites. Their existence, whilst helpful in that respect can also act adversely as a barrier to real human visitors. That causes a dilemma for site owners in their analysis of the pros and cons of captchas. Do the advantages outweigh the disadvantages? As an anti-spam application captchas come at a price in that they hinder search engine crawlers from performing their natural role of scanning webpages and rewarding certain algorithm criteria in the Search Engine Results pages. The problem for search bots is that content could be so far beyond their scope and accessibility that they simply move on to more friendly sites. When not written and presented properly with due care and strategic planning, captchas can actually cause data loss. Such an extreme scenario might well occur. However, countenance the situation where your captcha is placed near unreadable text bob casino askgamblers or where it has been filled in inaccurately resulting in the erasure of the data and causing the angry user to start over again. How many visitors in that situation would be put off to the extent that they would not be bothered to refill a form just to purchase something from your website? It follows that captchas, if they adversely affect UX and as a consequence degrade or prevent spider indexation of web pages beyond them, will prove a barrier to SEO in this context. To make some comparisons – spam is less annoying and less expensive than loss of conversions and the resultant loss in revenue. Captchas on diverse locations such as newsletters or shopping sites can be a definite turn-off for site visitors or customers who find them frustrating and a distraction. The more illegible and diffuse the captcha the greater the likelihood of conversion loss with potential customers going elsewhere to make a purchase. Interestingly, the captchas with the highest rejection rates are those connected with sound and video. That is not at all surprising especially with the the growing popularity of on-site media trends. The greatest click away rates are caused by those captchas that for potential customers waste the most time and register the greatest disapproval. If they are not conversion killers and they are not obviously penalising your rankings in SERPS then use them in the more friendly ways we have mentioned. and site rejection. An alternative is to introduce a simple maths problem for the user to solve – much more friendly than the unreadable letters that hack people off. A definite replacement for a captcha is a customised spam blocking solution and there are many to choose from. Currently there are universal spam filters for sale that provide the type of protection sought by professional Websites. From your perspective, the resolution of the dilemma – to use captchas or not – can only be based on your own personal experience. If you do not get a lot of spam and you find that captchas interfere with conversions then the obvious thing to do is get rid of them. However, adversely, if your site analysis indicates that captchas do not bother your visitors whilst you still receive a lot of spam – then it is probably better to retain the captcha. Can SEO benefit local businesses? Considering the international nature of the Internet, local business owners might well question the benefits of SEO for local enterprises. It is ineffective to focus on global outreach when the majority of your potential clients live in your town, city or locality. Steering resources towards wider reach is wasteful in this context and they would be better directed towards local publicity. The question is – how to implement effective SEO on a community level bearing in mind that Google does not distinguish sites according to their location? There are ways of localising SEO to achieve maximum outreach to a targeted audience. The most obvious and pertinent ploy is to include your location in your keywords. If you are a legal business in Belfast your main keyphrase should be “legal services Belfast”. This keyphrase contains both your business and locale which will drive traffic looking for legal services in this location. Optimising web content for “legal services” will not however boost your rankings in SERPs. It is advisable to include your location in the keywords that you use in the corps of your site which will have a greater impact when your site is being indexed by the web crawlers. Beware of the usual pitfalls such as word stuffing which Google can penalise. Metatags are signally important for the search engines so it is essential to include your location in the metatags of your site pages. Balance the presence of your location in keywords throughout your site against their use in your metetags so there is consistency and conformity. If you acknowledge Google Places and Yahoo local they will include you in their listings for a certain area. Some keywords that include location may, unfortunately lose some standing and authenticity if they do not read naturally,for example: “legal services Belfast”. Remember that you will not be rewarded with organic links if the keyphrase is gramatically questionable. However you could reap benefits from your location inclusion in blogs by deploying it in the Name field. You will only profit from the blog however if it is “do follow” – a resulting backlink with anchor text will assist SEO. Worth consideration are those directories that may seem outdated and not belonging to the digital era. Yellow pages is still the first point of reference for those seeking information on local businesses. It will do no harm to try them as a marketing tool to draw traffic to your business. Marketing campaigns could be targeted towards local areas. Digital options that prove popular and effective are Pay Per Click Advertisements and classified ads. They are probably the most productive forms of digital advertising in driving traffic as far as Web developers are concerned. Keeping tabs on present search volume of your keywords is imperative as search figures can change quite frequently. It is also very worthwhile to keep an eye on your competitors’ use of keywords and see which work and which do not. You can use these indicators to make more informed decisions about the more effective keywords and their positioning. Social Media is definitely one local platform which can drive traffic to a Website – sometimes more than the search engines – as it enables you to target a specific demographic that is within a reachable radius and that connects to your website and business. Inviting and encouraging clients to give you good reviews is always a fruitful way of promoting your business. An even better marketing coup for webmasters is to have testimonials published on specialist review sites which can drive impressed traffic to your enterprise. Besides international review sites, there are national and local review sites where you can publish positive client reviews that will reach a wider public and push your business to potential clients. Finally, if your business is located in more than one location – for example Belfast and Dublin – you cannot optimise a single generic keyphrase like “legal services Belfast/ Dublin” for both. You will have to create separate webpages for each location. This inventory will hopefully give you food for thought. You may feel that you can combine these suggestions with your own ideas on local SEO to optimise your site for local searches and to achieve optimal results in the rankings. Whilst web developers have no control over algorithm changes or updates, they can however make site amendments to offset any possible damaging effects and safeguard it against possible penalties and the ensuing drop in the rankings. As an ethical principle they should always adopt white hat SEO processes to protect their site against Search Engine penalties. 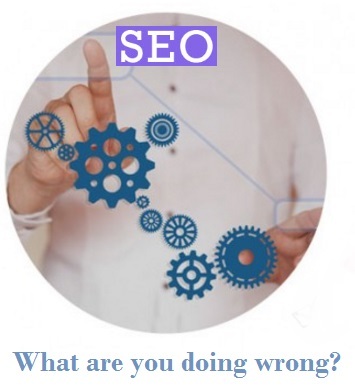 There are however other legitimate industry appropriate practices that you can follow and implement to make your site more adaptable to changes in the SE algorithm. By keeping a constant check on results and by continual monitoring of keyword effectiveness you can make certain informed assumptions about keyword validity and value. It is not wise to assume however that traffic can be increased by ranking for more keywords. That premise could hold true if keywords are distinctly different but generally the assumption is questionable. Unfortunately, adopting new keywords can have the opposite of the desired effect by diluting and diminishing the potency of your current keywords. This could result in a loss of the traffic you already enjoy – so be ready to adapt to changes in traffic induced by targeting new keywords and be prepared to amend your keyword strategy accordingly. Remember that any drop in ranking in SERP would require you to take immediate remedial action to balance the keyword effectiveness equation and reinstate your superior rankings. Another keyword related issue is the indifference or oversight of the importance of long-tail keywords. Managing them more productively translates into creating better conversations with your customers who are already out there looking for goods and services to purchase. Though long-tail keywords do not generate as much traffic as their more profitable correlatives, they will give you a proportionately greater return on investment by attracting the specific customers you are looking for, thanks to the precise client specific- nature of the three or four word search terms they generate. They are also very valuable for fulfilling the requirement of businesses and website owners to have their content rank in organic searches. Consequently it is very worthwhile optimising for these keywords as competition is less than with other keywords and traffic fluctuations tend to be less as well. Something worthy of consideration is optimising or SEO for less competitive keywords. They are less susceptible to algorithm changes and updates. For example, if twelve sites are competing for a keyword the worst that can happen should Google rehash rankings due to an algorithm update, is a drop in rank order to twelfth position. That is much less damaging than being dropped to rank in the hundreds, which is possible with keywords that have many more sites competing for them. It is taken as read that engaging, dynamic and authoritative content should be a key factor in your digital marketing strategy. That is only the beginning of the content narrative as gaps or time delays in posting new material can reflect negatively on your website and can actually consign it to obscurity for keywords that you used to rank well for. This can even happen without any algorithm changes at all. Though it takes new posts some time to perform well in the rankings, it is beneficial in general to introduce fresh relevant content to attract new traffic. Regular postings – on a weekly or monthly basis – are better at winning credibility and trust than a batch of new content items all posted at once. The utopian dream of free search engine traffic is just that as in reality the concept is not reliable. No one is guaranteed complete immunity from algorithm changes, however great their site or whatever protective measures they have implemented. The obvious route to increased traffic is Pay Per Click which matters to big Brands and drives revenue. It also helps you control your marketing budget spend and unlike organic can show results very quickly. PPC impacts specific consumer targeting almost at once and is a great mechanism for informing other marketing channels. Google has become much more critical of ineffectual backlinks in recent times – a stand prefacing their current prescriptive demand for backlinks to high ranking relevant sites only. Webmasters beware – any other irrelevant backlinks to bad sites can be both damaging and costly and they can inflict severe penalties on page rankings. A vote of confidence in your site by highly rated external or internal links is a valued indicator to Google in determining your site ranking in the SERP. The quality of your backlinks are paramount in complying with Google algorithm’s demands since superb backlinks are more inclined to sustain their high rankings enabling the sustained flow of link juice to your site. It is imperative you guard against links from bad or disreputable sites. There are tools to help you assess who is linking to you. Should you come across an unwanted offending link simply request the webmaster to remove it at once. Whilst traffic from Search Engines is vitally important to websites in general, it is important to recognise the need to diversify your traffic genesis or source. Though the traffic from Social sites is not targeted and conversions might be relatively low, these sites constitute a feasible and valuable flipside that can generate traffic over a prolonged period with sustained interaction and at practically no cost. In conclusion, counteracting algorithm changes is a many faceted process. Implementing the tactics and techniques indicated above should help overcome some of the deficit exhibited by your website and lay the basis for discovering other ways of keeping your site algorithm friendly. Can you resolve the problem of an “unnatural inbound Link notification”? Even though it was back in 2015 that Google Webmaster set in motion a number of warnings to Websites concerning their participation in the spammy pursuit and manipulation of unnatural links, the relevance of the counteracting algorithm is as pertinent today as it was then. At the time of its release both marketers and SEOs were exercised by what actually constituted an unnatural link. This resonated strongly with website owners who feared a potential downgrading in their position in the Search Engine Ranking pages – something which would significantly decrease their online visibility and consequently visitor footfall on their Website. On reaching a better understanding of the algorithm and Google’s threatened penalties against those breaching the guidelines, they quickly realised that unnatural links equated to artificial links and that Google was targeting every website regardless to improve customer queries and service. Google clarified that they were targeting those unnatural links which were designed to manipulate page rankings in SERPS,and they quite openly provided a list of those links for every webmaster, SEO and site owner to peruse. These unnatural links were categorised as purchased or spammer created links that invisibly latch onto your site and link it to other poor quality sites on the internet. With the introduction of Penguin and other related algorithmic updates in the interim, sites were penalised for proven unnatural low quality links, artificially optimised anchor text and keyword stuffing. All dubious and negative SEO tactics have been targeted and still are being targeted by Google. On suspicion of a site being guilty of breaching guidelines, a manual audit is initiated resulting in a manual delisting of the site from the search results. When unnatural links notification is posted on the Webmasters Tool Site and the offending site informed, Google allows a period of six months for the site to delete spammy unnatural links. After this rest period the Website owner is requested to submit a “reconsideration request” which must be returned before the expiry date. The consequence of such a notification normally prefaces a perceptible if not dramatic fall in the Search Engine page rankings which has a knock-on negative effect on the online visibility of the site and on the resultant decrease in site visitors. This means for the online business, in reality, fewer customers and a poorer return on investment. Neither site owners, SEOs or Marketers were happy with the umbrella idea of all sites being black balled and penalised even though they might not have had any responsibility for the few bad links to their sites. Matt Cutts from Google qualified the algorithmic application by stating that Google intended to penalise individual unnatural links and not the site as an entity. He clearly defined the whole gammit of offending links that would lead to penalties being imposed:- “ Widget bait, paid links, blog spam, guestbook spam, excessive directory submissions, excessive link exchanges and any other type of link spam”. An “unnatural links notification” to any site constituted a huge problem – How do you redeem the site and its page rankings with as little collateral damage as possible? The first part of the fix process is to identify the offending bad links on your site. This can be done through Webmaster Tools. By logging in you can get a breakdown of all the links that have to be deleted and you can download them on a spread sheet. Each site that links to you has to be reviewed and audited within the guidelines. The first major step in the fix process is getting rid of the links manually and this can be done through direct access to the site or by asking the website owner to remove the link. With this process it is imperative to differentiate between what is beneficial for page rankings and what will degrade a site’s current position in the Search Engine’s page rankings. As a consequence of Google’s disdain for most purchased links – all purchased links are deemed unnatural- they advise web developers to use a “Rel=no follow” attribute on links paid for advertising. This will identify the link as not having intent to manipulate search results in an unethical manner so it can escape the Internet bot’s all seeing eye and prevent certain web pages being sent to the Search Engine. Such links can alternatively be redirected to another page which is rendered immune from search engine crawlers by the blocking effect of a robots.txt file. Alternately,in the event of being unable to delete links, you can resort to Google’s Disavow Tool which will add those unwanted links to your disavow file – so withdrawing them from the attention of the Internet bots and preventing Google penalties. Other methods of keeping good faith with and remaining in Google’s search results are: to hire specialist staff to delete the unnatural links or to use sites specially designed to help others in the process of link deletion. A word of warning however – be careful not to delete natural beneficial links as it could well have a negative impact on your site’s rankings should your link profile be completely destroyed. The surest way to maintain positioning in the ranking pages is to create a balance of good links to counteract any possible likelihood of bad links attaching themselves at some point to your website. Having a regular supply of good backlinks from reputable sources will effectively balance your ranking order in the Search Engine results pages. The best fix however is prevention in the first instance and that requires a healthy site content strategy from the outset. Your aim is to attract visitors to your site through rich authoritative content and intuitive UX. Conversion rates depend on every aspect of your website working efficiently and professionally and you certainly do not want any road barriers such as unnatural links. Having made the corrections what is the next step to embarking on the journey of re-establishing a footing in the ranking pages? Corrections or fixes having been completed, a “reconsideration request” can be submitted wherein you explain exactly what you had done wrong in the beginning, in a transparent and honest manner. Your correspondence will be read by real people not a computer script. You submit it in the hope that they will give your site a clean bill of health. Based on past experience we know that some people see a quick turn- around in results, in as little as seven days, whilst others unfortunately see no turn- around at all. Evidently there is a clear separation between a few links being removed as opposed to many. In the former case, bounce-back is probable but in the latter backsliding can overwhelm any possible recovery in the SERPS – until such times as further SEO is enacted. In those instances it may mean starting from scratch, which is a very sobering experience. 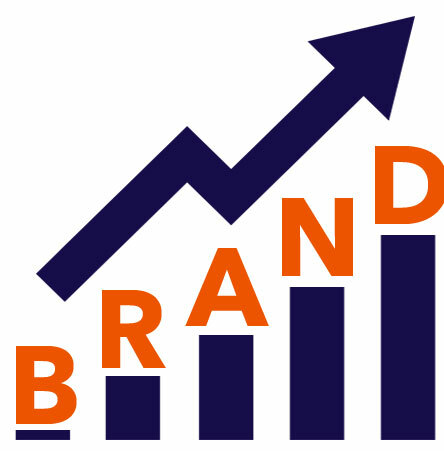 In fact retrieving any status in the rankings might require a new website and a comprehensive, strategic SEO campaign. The salutary lesson for everyone is not to adopt bad habits where marketing your website is concerned. For those already compromised do not return to the bad habit of building unnatural links as you did before. Pre-empt the inherent problems by building a good website with intuitive design and good UX. Write informative and authoritative content so you can climb the ranking order organically. Use only white hat SEO tactics and impress both Google and your site visitors with query response that is fast, informative, engaging and inspiring. In that way people will link naturally to your website enabling it to climb the ladder and remain in poll position in the SERPS. Can you prep for Google’s upcoming Mobile-first Index algorithm? What started with a Google announcement of a possible algorithmic update on mobile-first indexing in 2016 has developed into a roll-out of the experiment in 2017. They claim that to begin with, the effects of gradual roll-out on a small number of users will be almost negligible. Google promise to only “ ramp up” the changes if they reflect a “greater user experience”. This algorithm addition is testament to the growing number of mobile phone users and the correspondingly high increase in mobile internet use. When users search the internet for particular information on websites their behaviour indicates a growing trend towards mobile search. In reaction, Google appear to be emphasising the need for improved mobile user experience. In this algorithm they are laying the groundwork for the technical adjustments necessary to attain that optimal user experience. Designers, Webmasters and SEOs are being put on notice as regards the type of changes required to make all websites compliant. The expected knee jerk response might well reflect the fearful reaction of these same people to the imagined Mobile Armageddon scenario in the aftermath of the 2015 Mobile friendly ranking algorithm. The growing future impact of Mobile search upon SERPS is concentrating the minds of both Google and Webmasters. Both SEO engineers and Designers are thankful more than fearful of the advice coming from Google search experts regarding further improvement in user experience and rankings in the search pages. From a technical perspective, algorithm changes in search and rankings beg the question – how can web Developers, SEOs and Designers prepare for the expected changes and guidelines laid down by Google search? One of the questions raised by the algorithm roll-out, according to Gary Illyes of Google, is the anomaly of websites on desk top versions having more links pointing to them than to the mobile version. Whilst working to deal with this issue, Google have warned Website owners that condensed content on their Mobile pages might affect rank. This says quite strongly that the latter may well experience some type of penalty, probably in a negative ranking context, if they do not make efforts to reinforce their material. Gary Illyes has also indicated on a technical level, that Rel=Canonical Tags may start to operate the same task performed by Rel=Alternate Tags, so embedded is this software. In reference to all of this, Google is providing advice to Website owners in advance of the roll-out of the Mobile-first index algorithm. It is basically advising them how to provide “compelling mobile experiences” in compliance with the search and ranking algorithm demands. In plain language, now is the time to optimise for both website versions in order to keep up with current user trends. The reality in search indicates that there are discernible behavioural trends showing that not only should you optimise for mobile target audience engagement but also for desktop versions. Internet user patterns suggest that they are shifting from one device to the other depending on information requirements. If this user model is to be the future in search, then website owners need to recognise the moments when users change from one to the other to strengthen SEO on both platforms in appropriate ways. What can you do to comply with Google’s Mobile first Index algorithm? Primarily you need to pinpoint the moments when each device ( Desk top or Mobile) is used for visitors accessing business website like ilimoww.com. Consequently, it is essential that you optimise content for those particular moments and also optimise your website for the particular device. Your goal as a goods or service provider is to first attract visitors to your website, then engage them sufficiently with interesting and informative content and finally convert them to the desired action through an irresistible service or product offer. You have to remember that you will only reach the desired outcome by complying fully with Google’s algorithms which are designed to enable you to climb the rankings in the SERPS. By become more visible on the Internet you more open and available to potential visitors. In practical terms you have to be constantly aware of the need to ensure mobile-friendliness with the implementation of AMP or responsive design. With the recognised user shift between both desktop and mobile versions it is imperative that you optimise for both to ensure equal performance. Mobile content should be beefed up accordingly, considering how much content is recorded by Google’s Mobile-first index. To increase ROI ( Return on Investment), user impact signals and call to action triggers need to be tracked and analysed so adjustments can be effected to produce the required positive user outcomes. There is undoubtedly a growing awareness that Google is concentrating on the importance of mobile in their continuing journey towards providing optimal user experience across all platforms. 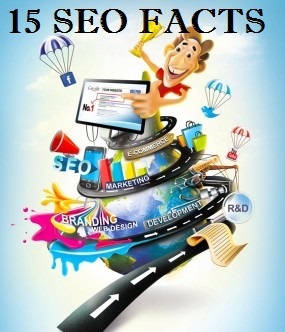 When it comes to SEO facts, you’ve heard it all before, right? Well, we (my fellow RYCO’s and I), have decided to test that theory and showcase our findings right here on our digital marketing blog. 1. 93% of the “online experience” begins with a search engine. 7. On-page SEO takes up 25% whilst the remaining 75% of SEO takes place off-page. And there you have it, 15 surprising SEO facts you never knew existed. After seeing the benefits of SEO, you’re probably wondering how you can make SEO work for you and your business. RYCO Marketing can help you get the most out of SEO, helping you to rank higher on SERPs, drive MORE traffic to your website AND increase conversion rates. 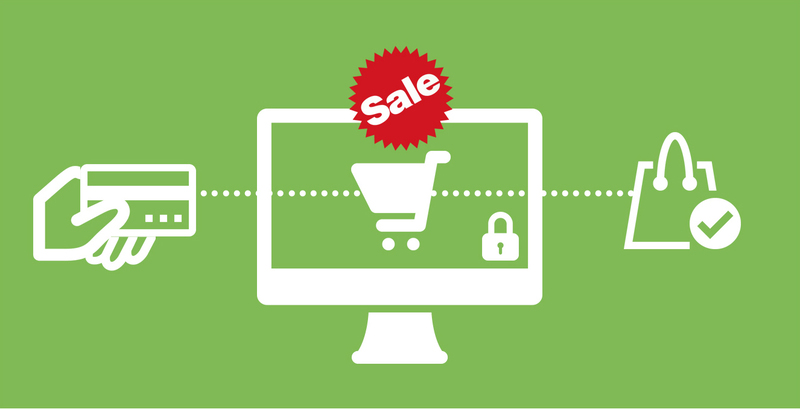 The shopping cart abandonment rate for online retailers, on average, is 67.91%. 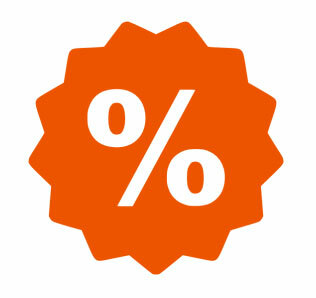 This rate is the ratio of the amount of online shopping carts abandoned to the number of completed transactions. Despite the average abandonment rate being 67.91%, it isn’t unusual for this rate to fluctuate, often reaching up to 80%. So, why are so many customers abandoning their shopping carts and failing to cross the checkout finish line? The cost of shipping is the number one reason why most people give up on their online shopping spree. To help avoid this, it is best to make shipping fees as clear as possible and as soon as possible. The cost of shipping should be revealed before the customer is prompted to give their payment information. By providing your customers with estimated shipping costs, you’re letting them know exactly what they are getting themselves into. When buying online from an unfamiliar ecommerce website, it can be daunting to click the “complete purchase” button. Questions begin racing through your mind. Can I trust this company? Will they misuse my personal information? Etc. To ensure your customers that your site is both trustworthy and dependable, it is a good idea to communicate the privacy and security of all of your customer’s information. This will not only help to reduce shopping cart abandonment rates, but it will also increase the credibility and reliability of your brand. Make sure that your website includes relevant contact information so that customers can easily get in contact with you if needed. Don’t forget to communicate your return policy to your customers to help build trust. Shoppers are always looking for ways to save money and online shopping isn’t any different. If you want to persuade buyers to complete the checkout process, offer them something they can’t refuse. Many websites offer free shipping or discounts to be applied when the customer has reached a certain milestone in their shopping spree. For example, “10% Discount when you spend over £50” etc. These types of special offers and discounts will give your customers a nudge to complete their purchase. There’s nothing more frustrating than wanting to make a quick purchase online and then being asked to fill out a registration form to sign up an account with the website. Provide customers with a guest option and you will quickly reduce shopping cart abandonment. SEO and social media services have made advertising online both effective and inexpensive. Advertising methods such as television, radio and printed media is quite expensive. On the other hand, online advertising guarantees that your brand reaches your target audience at a fraction of the price. A website makes promoting your company simple. You instantly have a range of advertising options and outlets open to you, including Google AdWords and Facebook Ads. This ensures that your business is shown to the right people at the right time, improving conversion rates and increasing brand awareness. A website gives you instant access to millions of potential customers from around the world. You can target locally or globally, allowing you to reach your most sought after audience. A website can make your company visible, instantly showcasing your best features to the public in a modern and simple format. Another great advantage to this is the fact that the internet will enable you to reach potential customers from further afield. A website will make life easier for not only you but for your customers. They will be able to make an enquiry or a purchase with just the click of a button. People usually check online for a product or service before visiting the physical location of the desired product. For this reason, a website makes online shopping easier for your customers. Unlimited accessibility is also a huge benefit to having a business website. Instead of closing your doors at your usual hours, your business can live on into the night. A website allows you to track everything that goes on. For example, you will be able to track how many people visited your website, what they did while they were there and how many emailed or messaged you etc. This valuable information allows you to better track data that can help you to determine your websites progress. Having a website allows you to build closer relationships with your customers. You can also update your site at any time that you please. The main reason why a business needs a website is of course to gain more sales and important conversions. A professional website design allows you to engage with your customers, reach a larger audience, obtain an increase in sales and expand your company’s profile. Choosing to develop a website for your business is a wise investment that will continue to churn out great results and evolve your brand with an effective online presence. However, the decision to hand your money over to a web design company should not be taken lightly. Belfast is home to UK and Irelands most genuine and trusted web design company, Ryco Marketing. This web design firm treats your business like their own and with their expertise on the art of web design, they are able to not only increase traffic to your site but enable you to better engage with your customers and create lasting relationships. There are a few essential factors to consider when opting for a genuine web design company and by keeping these aspects in mind whilst making your decision, it will ensure that you have chosen a professional web design company that will deliver effective and high quality results. One of the first factors that you need to consider when choosing a web design firm is how much you are willing to spend. Having a set budget in mind will help ensure that you do not overspend whilst giving the web design company a clearer understanding of your needs and financial margins. Once you have a set budget, choose a web design company that is within that budget. Beware however, because if you choose a cheap company just because of the low price tag and nothing else, you are likely to end up with poor quality results and a website that does not attract traffic or any customers. For this reason, it is advised to opt for a web design company in the local area of Belfast so that you can meet face-to-face and develop a close bond with the designers and those on the design and production Team. You must be willing to carry out efficient research on the web design company so that you can discover more about them as a business and to analyse their performance levels. Ask relevant questions and ask to see their portfolio of previous website designs and find out how successful they have been. Do they understand your industry and customer base? Can they deliver high quality results? Have their previous clients been satisfied with their services and experience with the company? These are the types of questions you must ask in order to determine the sincerity and skills of a web design company. Choosing a localised web design firm is a great advantage because you can easily get in contact and discuss how they will be able to help build your brand and your online presence. 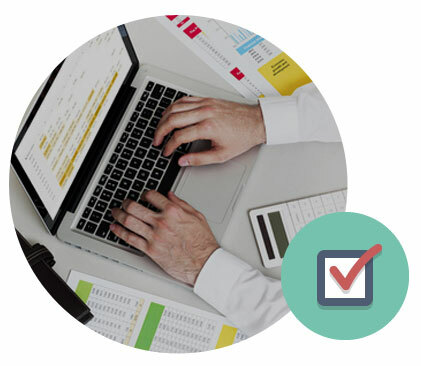 How reliable is your chosen web design company? Will they keep in contact throughout the course of the web design project, giving you access to each stage and allowing you to witness how the project is progressing? Customers will want to access your site via tablets, smart phones, laptops and PC’s etc. which means that the web design company you choose must be able to accommodate each of these devices so that your site can be accessed on the go. On top of an impressive portfolio, you can judge how reliable and consistent a web design company is based on their qualifications, references and even awards. For instance, Rycoweb is a web design company based in Belfast and they have proven to be a Multi-Award Winning Agency, winning numerous top awards such as The Webby Awards, DMA (Digital Media Awards) and winner of the IMA Award amongst others. Impressive credentials such as these, emphasizes not only the success of the company but also the reliability and effectiveness of its results.